Booth construction, one of the key basis of every exhibition, would consume a large number of light construction materials within one week. Green booth construction is how exhibitions practise the environmental friendly responsibility by taking lower waste as well as producing higher efficiency during the booth construction. Instead of the traditional materials and structures, green booth construction encourages the use of flexible structure with recyclable materials (such as aluminium alloy). Organizer as it is, UBM Sinoexpo is also practising The Regulations on the Management of Domestic Wastes in Shanghai since applied. 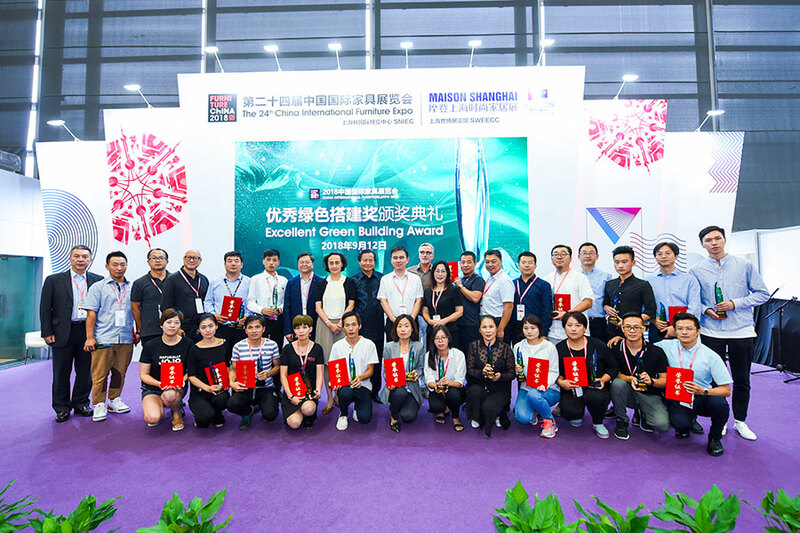 In 2018, Furniture China (totally two venues, over 40 halls with around 3,500 exhibitor booths) added a new prize – Green Booth Construction Awards – to stimulate exhibitors to take responsibility for sustainable development. This award was set as the attitude towards a recyclable and reusable booth construction guideline. Gold Award 1 Anji Lucky Furniture Co., Ltd.
Silver Award 1 Beijing Younglion Trendshome Ltd.
4 Jiangsu Sikexin Furniture Co., Ltd.
6 Asiades Hong Kong Ltd.
2 Cixi Mingqing Furniture Industry Co., Ltd.
5 Shanghai Youyi Environmental Construction Technology Co., Ltd.
6 Shanghai Jieyu Culture and Creative Development Co., Ltd.
7 Hong Teng Furniture (Shenzhen) Co., Ltd.
8 Hangzhou E.K Textile Co., Ltd.
To provide a platform for global brands and buyers to achieve business success, Furniture China is not only optimizing the quality of service and products, but also taking action in response of the Sustainable Development Goals raised by U.N. to actualize the “responsible consumption and production” for next generation.